Dunnield has consistently achieved over 138% lambing for the last 5 years, with a 110 lambing percentage in the previous years. Classing of the young ewes is carried out twice yearly by Peter and Fiona, focusing on all of the above characteristics. Only 40% of the young ewes remain in the Stud to ensure that only the very best gene pool is available. 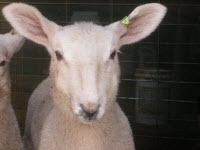 To protect the Stud from disease and maintain the high standard and quality we only breed Border Leicesters on the Dunnield property, with no other sheep having been introduced since 1996. The Stud also ceased showing at Country Shows around NSW. Previously a Show team has shown annually from 1955 - 1996 always with great success. Therefore Dunnield is now a closed Stud. The vagaries of the Merino Industry for over a decade, with better returns from the fat lamb markets, have attracted clients from not only the traditional Eastern and Southern areas, but also West and North as far as Queensland. The majority of our clients sell the Merino/Border Leicester cross mixed sexes as fat lambs with great success. 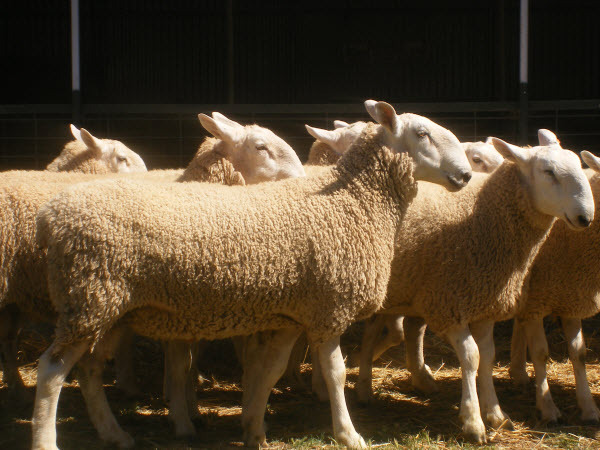 Due to a likely shortage of first cross breeding ewes in the foreseeable future, there is a growing tendency for more breeders to carry the ewe portion through to the adult stage to cater for the second cross fat lamb specialists. 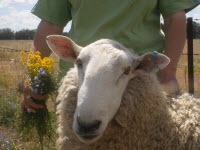 The practice of marketing quality rams at reasonable prices but with ample selection, has been a sound Stud Policy, resulting in total clearance of sale rams each year.